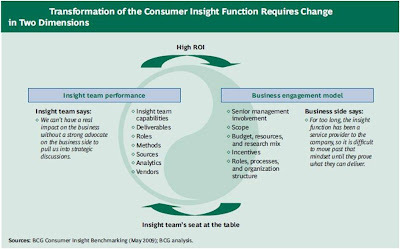 The Boston Consulting Group released an excellent report on the state of client-side (in house) market research departments. You can read it all here. 7. The Rise of Polymaths. Interestingly, the report suggests that a desired “strategic foresight organization” (the final, 4th phase of an MR department’s evolution) will employ a more diverse range of researchers from statistics, anthropology, sociology, marketing etc. In its entirety the BCG report paints a fairly stark picture of the current situation. It is true that market research needs to evolve, but corporate cultures will need to support this evolution as well.